Arsene Wenger went on to defend his team in the 3-3 draw at Liverpool. The Frenchman saw his team go down 1-0 at the break to an early goal from Philippe Coutinho, but the gunners were able to get a valuable point in a 3-3 draw. Still, many saw this as points dropped at home. There were also concerns about Liverpool’s defence since they had allowed a lead to go away. Roberto Firmino came up with a late equaliser in order to make sure that Arsenal were unable to win this for match. Up until that point, Arsenal were on a high after having overturned a 2-0 deficit into a 3-2 position. Alexis Sanchez, Granit Xhaka, and Mesut Ozil were the players who turned down the mood for Arsenal. 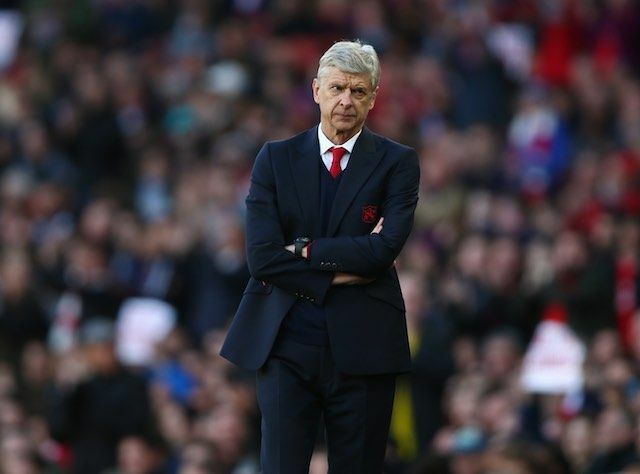 Wenger was asked about the possibility of running down the time and holding onto the lead, as the gunners failed to do both in a critical situation. Firmino was able to come up with an equaliser in the 71st minute. Goals from Coutinho and Mohamed Salah were crucial in putting Liverpool ahead in the game. This poor result means that Arsenal have been able to take just a single win – a close 1-0 win over Newcastle – in the recent league match. Arsenal are reportedly in advanced negotiations to secure a summer deal for promising Russian midfielder Aleksandr Golovin. Sports.ru suggests that CKSA Moscow are close to finalising a £10m agreement which will see Golovin commit his future to the Gunners. The 21-year-old made his debut for the Russian heavyweights during the 2015/16 campaign, and it was left season where he really made a mark with the Capital outfit. The youngster notched three goals and three assists in 30 outings for CSKA, who finished runners-up to Spartak Moscow for the league title. Golovin is capable of plying his trade at either central midfield or on the left flank, and CSKA are likely to propose to take him on loan next season as part of any agreement. Meanwhile, there is the other option of the player linking up with Hull City, who are currently under the management of former CSKA boss Leonid Slutsky. Arsenal are set to make the trip midweek to Southampton as they fight for a top four finish this term. They face a big test at Saint Mary Stadium as they are under pressure to get the needed result if they want to play Champions League next season. The Saints have no major injury concern but the stress might limit their competition. Charlie Austin and Matt Targett are nearing a return to the team after time out due to injuries. Virgil van Dijk has had his surgery so the club would continue to monitor him as he recovers as they want to keep him, manager Claude Puel revealed. The Gunners might rest Laurent Koscielny and Granit Xhaka as they have little fitness concerns. Antonio Conte says that Arsene Wenger should not be criticised for his work at Arsenal – especially in recent years – amidst plenty of mounting pressure on the Frenchman. Wenger has transformed the club as a whole, but there have been plenty of calls for the manager to leave the club at the end of the season. Wenger has especially faced a lot of criticism after his team were hammered 10-2 by Bayern Munich in the Champions League over two legs. Conte, however, says that Wenger has shown plenty of resilience and quality to keep Arsenal in the Champions League consistently over the last 20 years. Arsene Wenger has rejected claims that Liverpool could be without a number of players when they are up against the gunners this weekend. Jurgen Klopp has been complaining about the long list of injuries that his team has suffered in the last few weeks. The likes of Philippe Coutinho and Dejan Lovren are out for a considerable amount of time. This is in addition to the ever present injury problems for striker Daniel Sturridge. A number of young players from the youth team were picked for the recent FA Cup match against Exeter City by Klopp. If you had to bet ahead of the last weekend’s Arsenal versus Liverpool fixture, you definitely would have put your money on the Gunners as they were playing at home and their form leading to the fixture was better. But, it was hard to predict that the match was going to be as one sided as it happened to be.